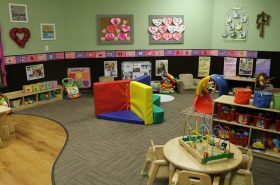 Receive up to 25% off your child's first 8 weeks. *Restrictions apply. Enroll now and receive up to 25% off your child's first 8 weeks. *Restrictions apply. 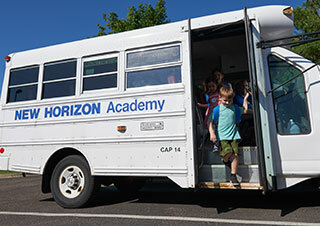 Welcome to the Bloomington New Horizon Academy! 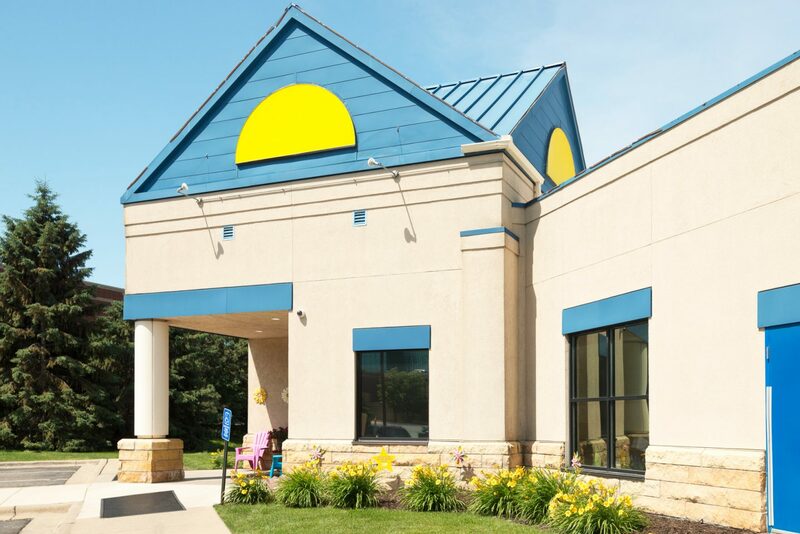 Our award-winning school is conveniently located off of Interstate 494 and France Avenue in the heart of Bloomington, MN. 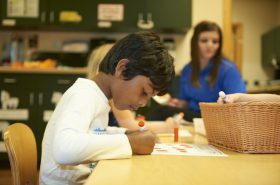 Since opening our doors in 1990, we have earned a reputation of preparing children for success in the many area elementary schools. 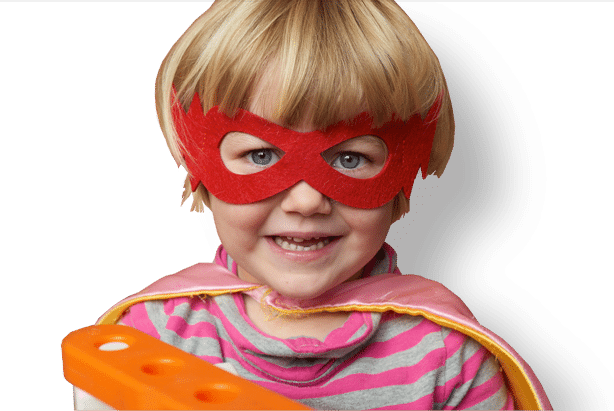 With our convenient location and open-door policy, we are a perfect choice for parents who work or live in the 494/France area. We encourage parents to visit anytime, take their child to lunch, or join us for a special celebration. Our school was renovated top to bottom in 2013, and we are very proud of our fresh, colorful classrooms. 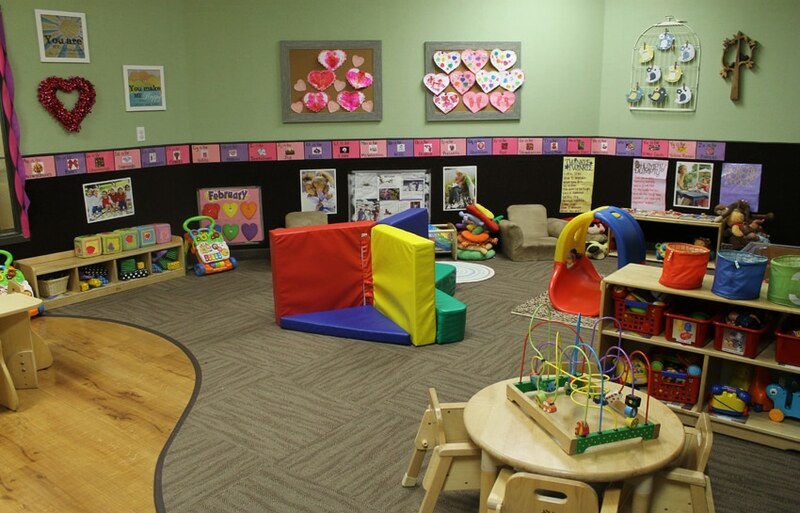 We have two infant rooms, two toddler rooms, four preschool rooms, and one school-age room. We currently offer enrichment programs in music and Spanish. 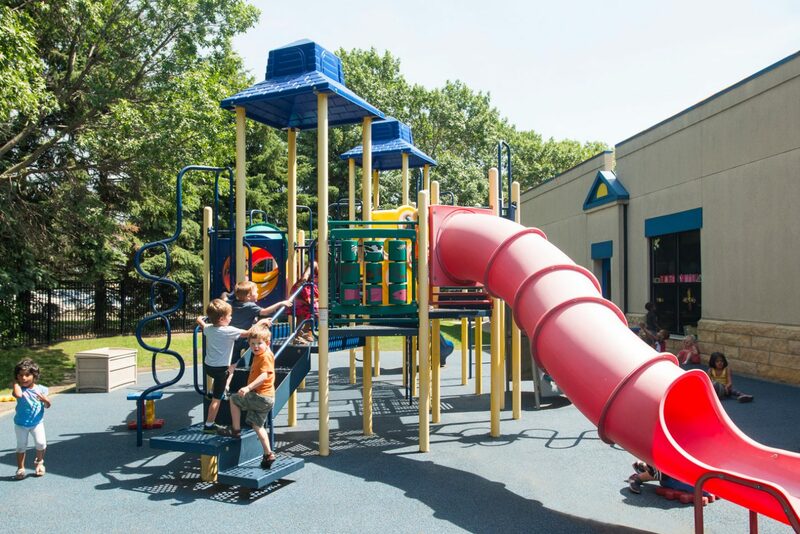 Our grassy, fenced outdoor playground features large climbing structures, garden boxes, and plenty of riding toys. We utilize an electronic tool for communication that allows us to stay connected with families throughout the day in all our classrooms. 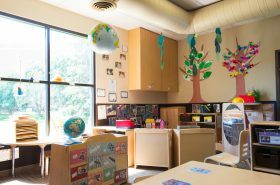 We are a NAEYC accredited child care center and hold the highest rating–four stars–from MN Parent Aware. We welcome you and your family to call us or come in and tour our wonderful program! Our infant classrooms are places where babies can grow and learn every day by exploring and making new discoveries in a cozy environment with loving and caring teachers. 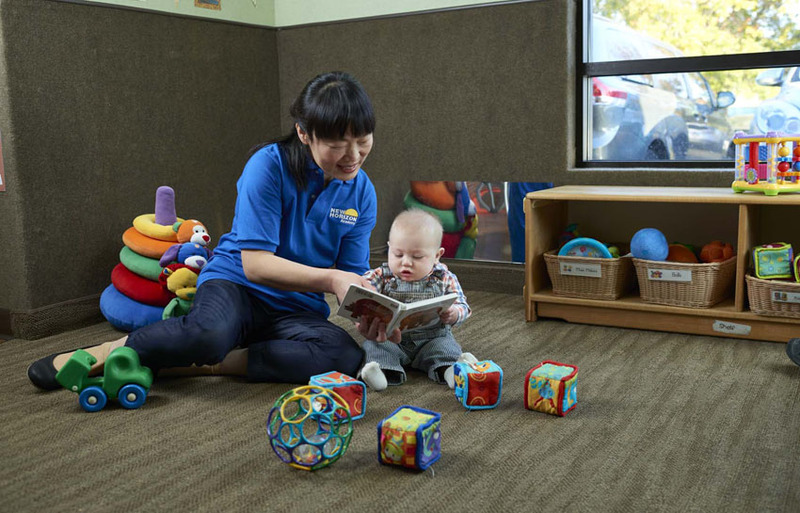 Our toddler classrooms are active, happy places where children can learn, explore, sing, and dance. 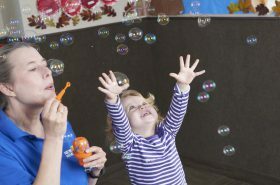 Our toddler program encourages each child’s growing need for independence and fosters the development of their self-esteem in a safe, supportive manner. 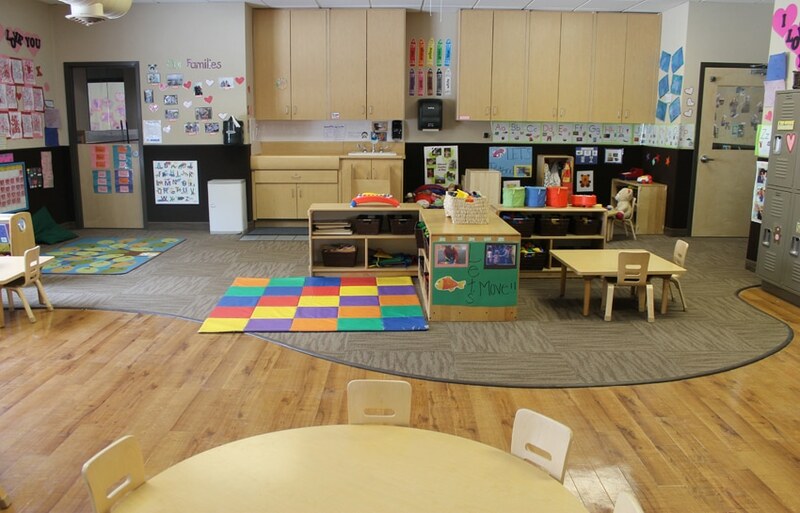 Our preschool classrooms are fun, happy, and engaging places where children explore, investigate, and discover. 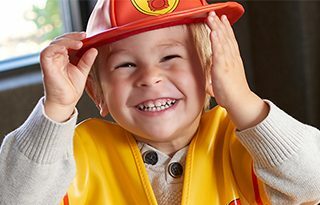 Our curriculum supports each preschooler’s emerging school-readiness skills, along with the development of important social and emotional skills in a supportive learning environment. 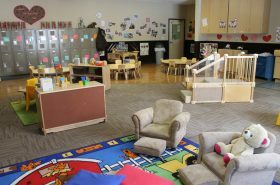 Our pre-kindergarten classrooms support the continued development of essential school-readiness skills and prepares children to enter kindergarten with the language, early literacy, mathematics, social and emotional, physical, cognitive, and executive functioning skills necessary for success. Our school-age program provides a happy, club-like atmosphere where children are offered enriched learning opportunities in a fun and engaging environment. 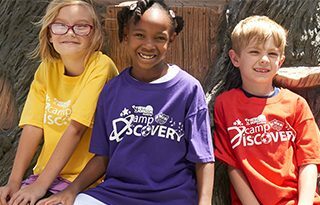 The summer camp program at New Horizon Academy, Camp Discovery, is your child's passport to a summer of fun, friends, and field trips. Summer at New Horizon Academy provides your child a safe environment to learn, play, and explore during those otherwise long summer days. 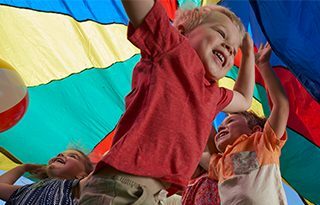 For your family's convenience, New Horizon Academy works with outside companies to provide optional enrichment programs in the areas of language, fitness, dance, and music. Thank you for your interest in New Horizon Academy. Please fill out the form below to request more information or to schedule a tour at New Horizon Academy. We look forward to hearing from you! Are you an enrolled parent? Sign me up to receive our newsletter to keep in touch and learn about upcoming events and activities. 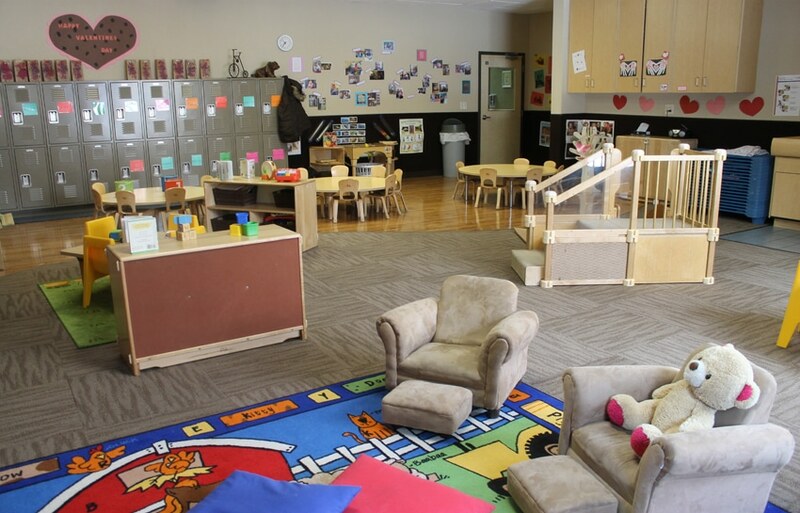 We understand that choosing an early education and child care program for your child is one of the most important decisions you will make as a parent. 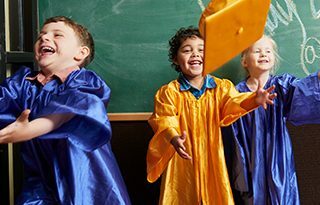 That is why we have created a step-by-step guide to help you make an informed decision about the early care and education program you choose for your child. Step 1: Find a New Horizon Academy near your home or your place of work. Step 2: Schedule a tour. Visit our schools to learn more about the wonderful programs we offer for children. 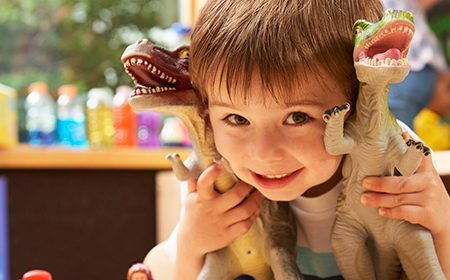 Use our Quality Child Care Checklist to help you make an informed decision about the early care and education you choose for your child. Step 3: Complete the Enrollment Agreement and other required forms to enroll your child at New Horizon Academy located here. Do not hesitate to contact us if you have any questions or if you want to plan your visit to one of our schools. Thank you for considering New Horizon Academy. We are eager to partner with you during this incredible time in your child’s growth and development. 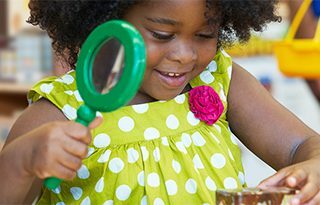 Ensuring the quality of children’s daily experiences in early childhood programs and promoting positive child outcomes is the goal of the ten NAEYC early childhood program standards and accreditation criteria. 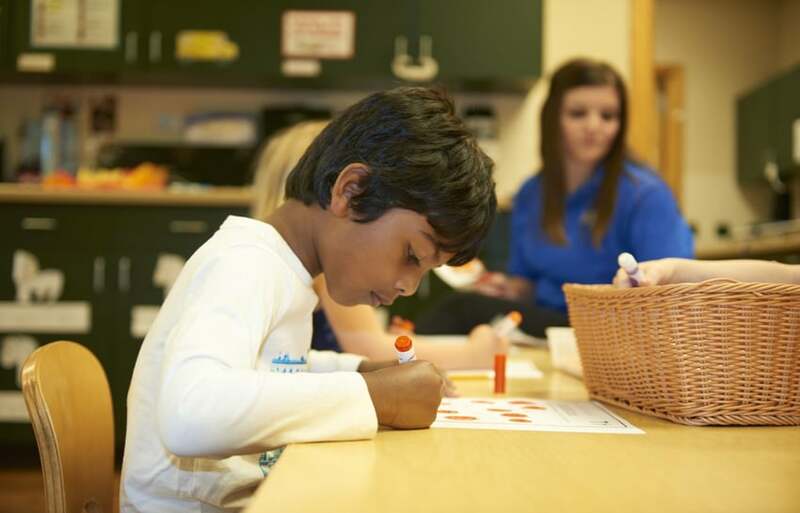 Our school has achieved NAEYC accreditation by meeting or exceeding the standards and criteria in all areas. 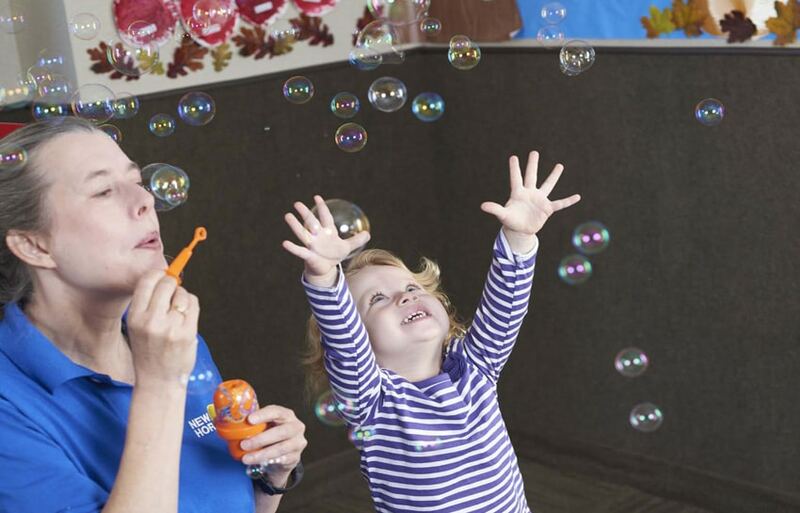 We have been recognized as an Eco-Healthy Child Care® (EHCC) provider. Eco-Healthy Child Care providers receive support in creating child care settings that are as environmentally healthy as possible. 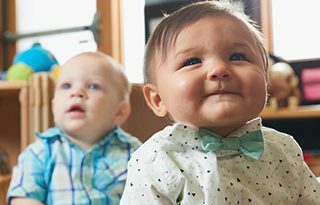 Eco-Healthy Child Care providers commit to reducing children’s exposure to environmental health hazards. Our school received the Susan K. Dunkley School of Excellence award. This award was created to honor the vision and mission of our founder, Sue Dunkley. This award is presented each year to the school that most clearly meets the criteria for outstanding performance in our “commitment to excellence” focus areas, including program implementation, staff leadership and development, and commitment to enrolled families and the community. 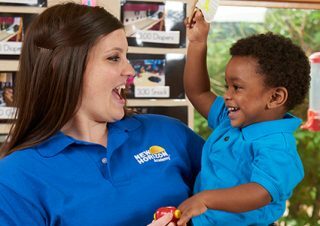 At New Horizon Academy, we understand how valuable teacher experience is, and we know that ongoing learning in the fields of child development and early childhood education is vital to providing the highest early learning experience for young children. Our staff and school culture reflect that. Our professional teachers bring a rich variety of experiences, education, and backgrounds to our school. 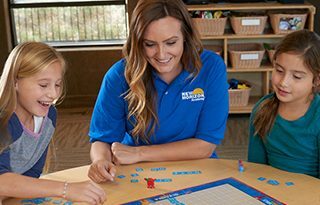 They are passionate about teaching and dedicated to providing a safe, educational environment for your child. Our loving, nurturing, and caring teachers are eager to meet you and your child. 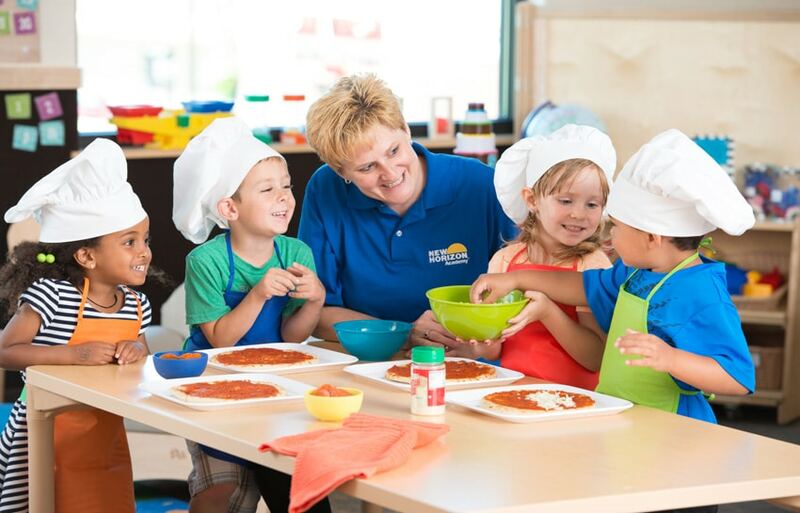 We look forward to being an important role in your child’s early education. For your convenience, we offer transportation to local elementary schools for children enrolled in our before and after school program. We partner with a variety of schools in our community. The schools include: Poplar Bridge Elementary and Seven Hill Academy. Enroll in April and receive 25% off your first 4 weeks!